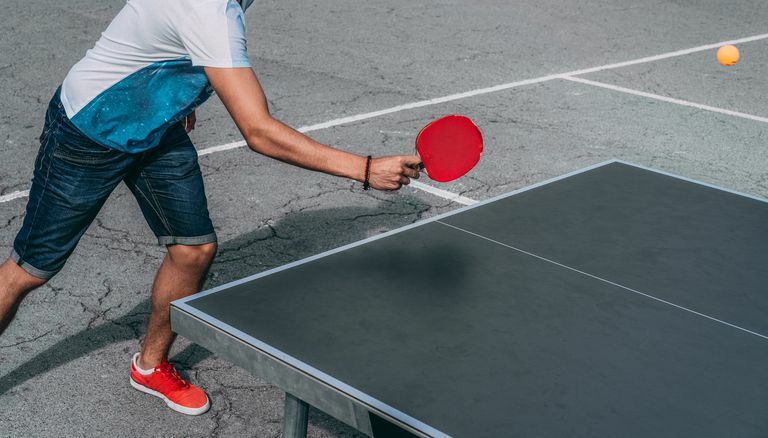 When you are building a Ping-Pong table or refinishing a table tennis table, you may wonder what type of playing surface material and paint is needed and whether it matters. Here are some pointers on what you can use. 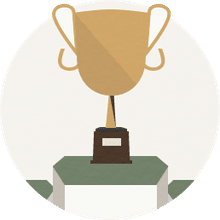 All of the modern table tennis tables are manufactured with fiberboard. In most cases, it is probably high-density fiberboard. But if you are building your own to play on at home, you might be able to use medium density fiberboard (MDF) as an alternative. The thickness can be either 1 inch or 0.75 inches. Either is good for playability. Which paint to use ends up being a difficult question to answer. The manufacturers are not forthcoming on revealing what they use when do-it-yourself builders have asked the question. Even performing searches online comes up with few answers. The International Table Tennis Foundation only specifies that the paint must be a matt finish with a gloss of no more than 15 (60 degree specular gloss). It must also be a dark color, with a CIELAB lightness up to 44 percent. They note that a change of the paint can affect the friction, gloss, and bounce, so manufacturers must test their tables when they change paint formulations. It is important that you don't have brush marks on the surface, so they recommend using a sprayer, roller, or curtain coating. It should also not be so reflective that you see the shape of a light source on it as a reflection. The surface must be smooth, without ingrained dust, so any painting needs to be done in a clean environment. Some people say that chalkboard paint can be used as well, while others claim that it tends to be too gritty, which causes problems in the bounce of the ball, and the speed of the table. However, since it's difficult to get what the manufacturers use, that may be a good option. Chalkboard paint is also called alkyd paint. It's durable and available at most home improvement stores. Sheffield even markets a dark green "Sheffield 5685 Chalkboard and Table Tennis Finish" that may work well for home use. If you can't find that, simply look for green chalkboard paint. You'll want to ensure the surface is smooth and any scratches are filled with a wood filler and sanded. Many people use a primer first on the table surface. Then you will need to tape the 1/8-inch center line and the 3/4-inch sidelines before you paint the rest of the surface. Apply two coats of the paint, allowing each coat to dry. Once the last coat is dry, remove the tape. You may want to reapply tape now over the newly-painted area so you have a crisp line when you paint the white lines with two coats of white paint. It has to be completely dry and hardened so you don't risk removing the paint with the tape.